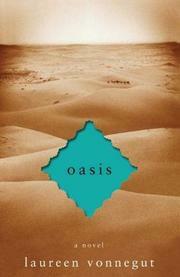 A tall, blonde beauty finds herself in the Sahara in this debut novel. Lili is a 22-year-old Russian woman. Sometime after the fall of Communism, she was sold to a woman named Madame Mer, and, at the age of 15, sold again, this time to an Arab. Her story begins in the middle of the Sahara, just as she and the Arab are having an argument. He forces her out of his car, then follows her into the desert and is bitten by a snake. Lili assumes that the bite is fatal, and she crawls off into the sand, waiting to die. That this opening scene raises more questions than it answers is typical of this novel. Vonnegut builds her slim narrative from hazy, dreamlike, bluntly obscure vignettes, and she peoples her story with an ostentatiously eclectic cast of ciphers: a girl who has visions, a tattooed woman with a scandalous past, a Spaniard looking for a silver mine, a paranoid camel trader, a mute lunatic. The claustrophobic effect she achieves echoes the novel’s mercilessly hot, dusty, isolated setting, but the relentlessly furtive tone eventually becomes wearying; the reader is never given enough information to care about the characters or their actions. Seemingly portentous phenomena fade into pointlessness. People and events are joined by coincidence, but these dramatic twists of fate never coalesce into a meaningful whole. The central mystery is, ostensibly, the true identity of Lili: What part of her is real? What’s left when she strips away the identity bestowed by Madame Mer and enforced by the Arab? Vast, vacant and extreme in its demands, the Sahara could have been an ideal crucible for Lili’s rediscovery or reinvention of herself. Instead, Vonnegut uses this forbidding landscape as a stage for enacting a series of absurdist set pieces that seem to be filled with significance but which never reward sustained scrutiny. A novel as dry and empty as the desert in which it is set.